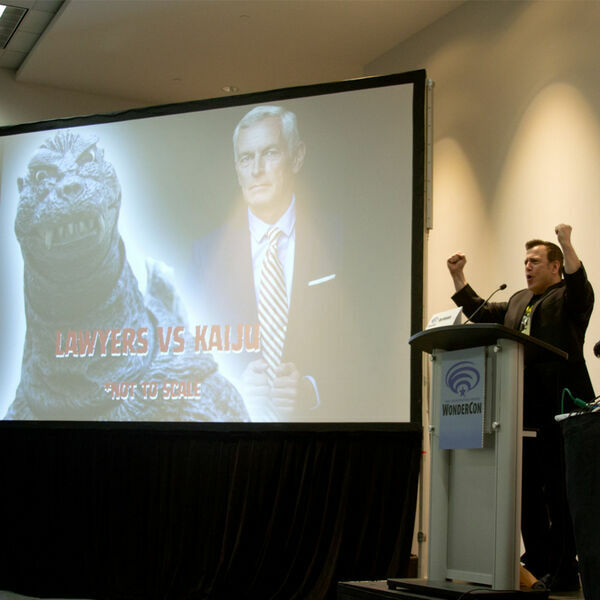 The Legal Geeks - Lawyers vs Kaiju at WonderCon! Recorded live at WonderCon on March 23, 2018. Is King Kong protected by the Endangered Species Act? Does Gamera have a duty to save children? Attorneys Monte Cooper, Esq. (Orrick and grandnephew of Merian C. Cooper, the creator of King Kong), Megan Hitchcock,Esq. (Esurance), Jeraline Singh Edwards, Esq. (Law Offices of Jeraline Singh Edwards), and Joshua Gilliland, Esq. (The Legal Geeks) do battle over John Driscoll’s liability for Kong’s rampage across New York, whether the United States has a treaty obligation to defend Japan from Godzilla, and much more. Moderated by Matt Weinhold (Monster Party).